﻿ Fun Easy English - Environment - Global warming - Climate change Indicators: Oceans. Ocean Heat - Three independent analyses show that the amount of heat stored in the ocean has increased substantially since the 1950s. 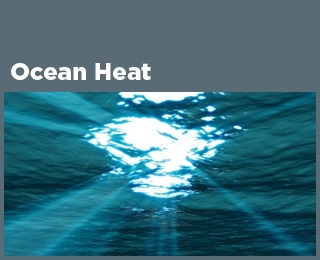 Ocean heat content not only determines sea surface temperature, but also affects sea level and currents. 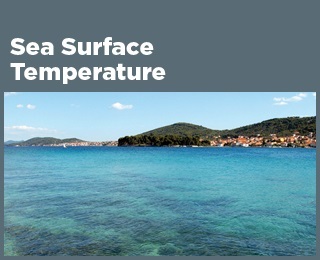 Sea Surface Temperature - Ocean surface temperatures increased around the world during the 20th century. Even with some year-to-year variation, the overall increase is clear, and sea surface temperatures have been consistently higher during the past three decades than at any other time since reliable observations began in the late 1800s. Sea Level - When averaged over all of the world’s oceans, sea level has risen at a rate of roughly six-tenths of an inch per decade since 1880. The rate of increase has accelerated in recent years to more than an inch per decade. Changes in sea level relative to the land vary by region. Along the U.S. coastline, sea level has risen the most along the Mid-Atlantic coast and parts of the Gulf coast, where some stations registered increases of more than 8 inches between 1960 and 2015. Sea level has decreased relative to the land in parts of Alaska and the Pacific Northwest. Coastal Flooding - Flooding is becoming more frequent along the U.S. coastline as sea level rises. 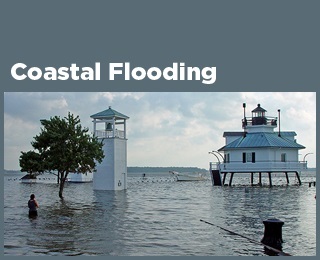 Nearly every site measured has experienced an increase in coastal flooding since the 1950s. The rate is accelerating in many locations along the East and Gulf coasts. The Mid-Atlantic region suffers the highest number of coastal flood days and has also experienced the largest increases in flooding. 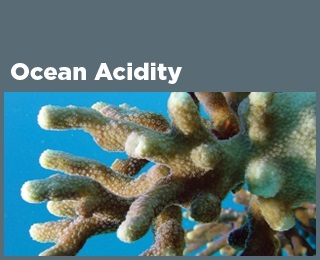 Ocean Acidity - The ocean has become more acidic over the past few decades because of increased levels of atmospheric carbon dioxide, which dissolves in the water. Higher acidity affects the balance of minerals in the water, which can make it more difficult for certain marine animals to build their protective skeletons or shells. 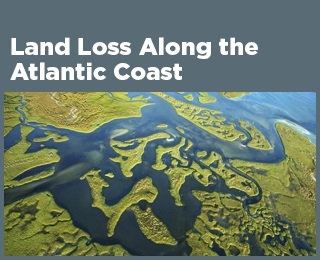 A Closer Look: Land Loss Along the Atlantic Coast - As sea level rises, dry land and wetlands can turn into open water. 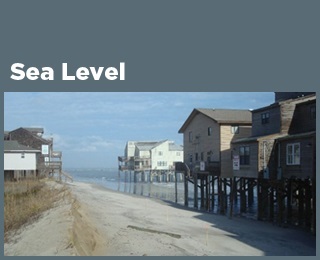 Along many parts of the Atlantic coast, this problem is made worse by low elevations and land that is already sinking. Between 1996 and 2011, the coastline from Florida to New York lost more land than it gained.